Our trained professionals are ready to help maintain your system and ensure peak performance. SAMCO can generate data reports for your inspection needs and has executed a wide variety of operations and maintenance contracts. We staff and operate some of our customers’ systems 24/7, while other systems are monitored remotely and technicians are dispatched to these sites when required. Remote operation and monitoring is accomplished with state-of-the-art telemetry hardware and proprietary software. 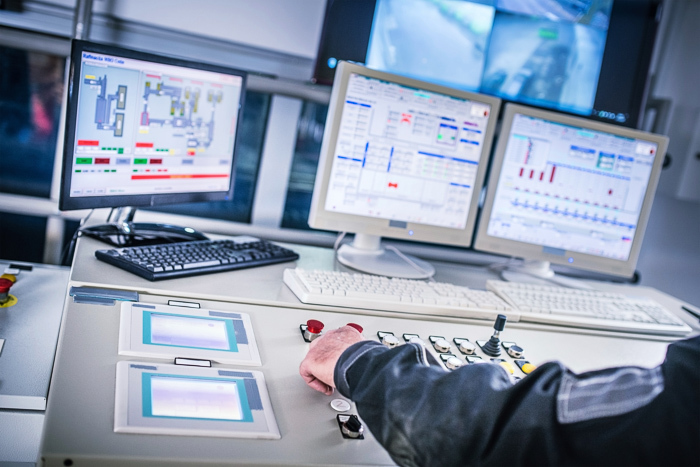 At our corporate headquarters, our authorized operations personnel can monitor systems from their desks while tracking critical system and treatment data for daily review. This approach reduces operational costs without incurring additional project risk. In other cases, we conduct routine maintenance when needed. Since operating costs comprise a high percentage of any treatment budget and are highly dependent on the condition of the equipment, SAMCO conducts routine maintenance services such as chemical feed adjustments, instrument calibration, and periodic cleaning upon request. SAMCO provides these types of services on leased, rented, or customer-owned equipment. Contact us to find out more about how our plant service support services might meet your needs.